Through the partnership, senior adult programming for both communities will be held at the Springfield Township Senior & Community Arts Center, located at 9158 Winton Road. 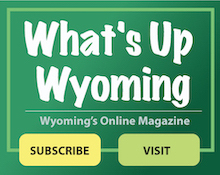 Wyoming Recreation Department programming staff will support the collaboration by planning a number of new programs at the township facility. Wyoming residents over the age of 55 will have the opportunity to join the Springfield Township Senior Center at the Township resident rate, $20 annually. The City of Wyoming will offer all Springfield Township Senior Center members the ability to join the city’s Recreation Center and Family Aquatics Center at the senior resident rate, $122 and $88 respectively. If you are 65 years or older, contact your health insurance provider today to see if it participates in the program. SilverSneakers card holders qualify for a no cost membership to the Wyoming Recreation Center.